Today, we are announcing that we have signed an agreement with Aeromexico, Mexico’s global airline, to provide in-flight Internet and wireless in-flight entertainment service on at least 58 Embraer and Boeing 737 aircraft. We previously announced, in December 2013, that we had agreed on the principal terms and conditions with Aeromexico related to the service. As part of this definitive agreement, at least 20 of Aeromexico’s 737 aircraft will receive our next generation in-flight connectivity solution – 2Ku. Aeromexico is the first airline to commit to 2Ku. The advantages of 2Ku are significant. Gogo believes that 2Ku is the fastest solution available in the marketplace and expects it to deliver peak speeds of more than 70 Mbps to the aircraft at launch and more than 100 Mbps to the aircraft when next generation satellites become available. The 2Ku antenna is two times more spectrally efficient than other antennas in the commercial aviation market, which makes it capable of providing more bandwidth at less cost. 2Ku’s performance benefits will be even more dramatic in the tropical regions of the globe where the performance of other satellite solutions degrade significantly due to restrictions associated with operating at high skew angles. 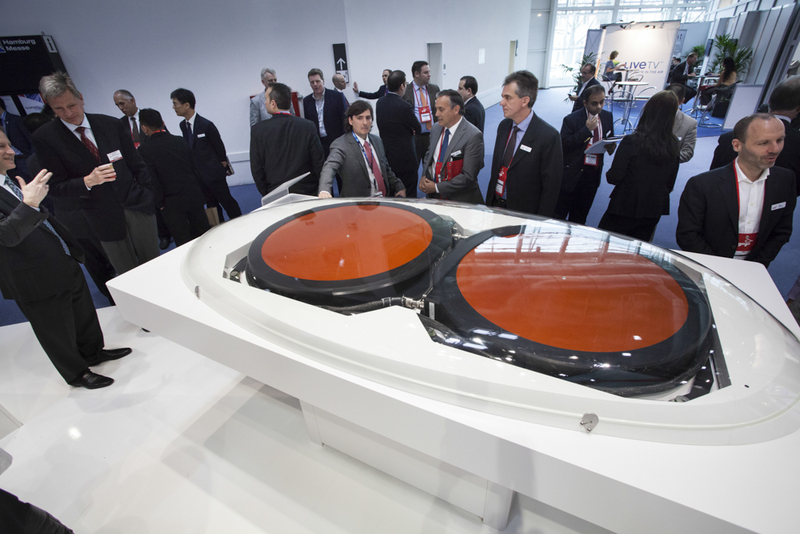 Gogo expects both its connectivity service and Gogo Vision to be available to Aeromexico passengers beginning in the fourth quarter of 2015. To learn more about Gogo 2Ku, please visit our information site.